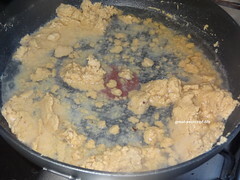 Heat ghee in a pan. 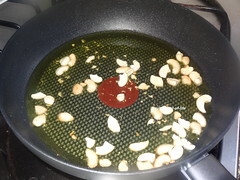 Add Cashew nuts and raisin. 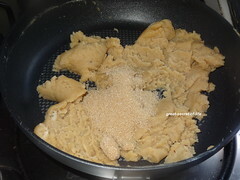 Fry till brown in color. 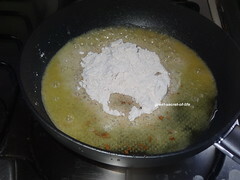 Add wheat flour. 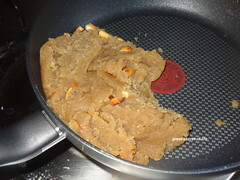 Fry till nice aroma released. 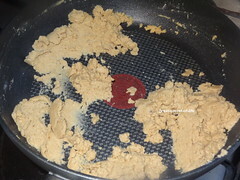 Flour will be brown in color.Add 1/2 cup water and cook it. 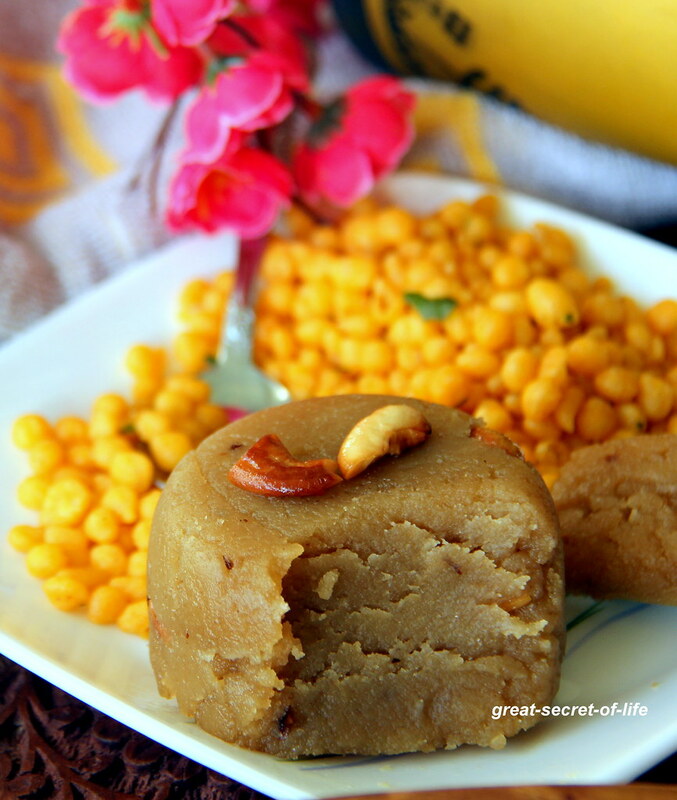 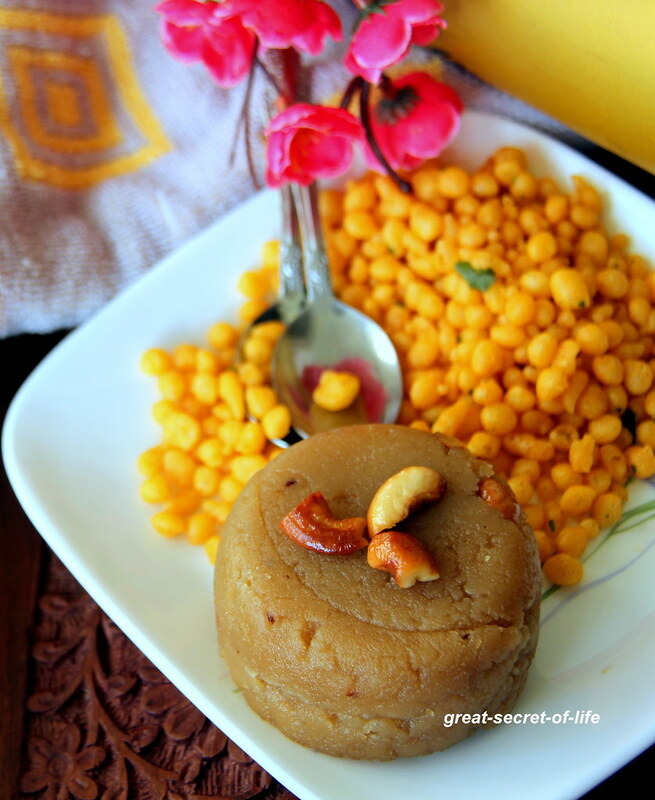 Love this halwa, simple and delicious..